Items of interest within the District. Kerala is going through unprecedented calamity not seen in over a century. The incessant rains and the resultant floods has already taken 330 lives as of today. The devastation to property is colossal. 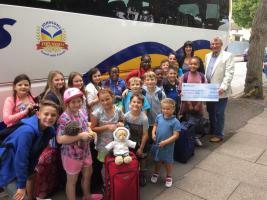 President Tony presented a cheque for £2000.00 to enable special needs children of Yardley & Sheldon to enjoy one week on a camping holiday. 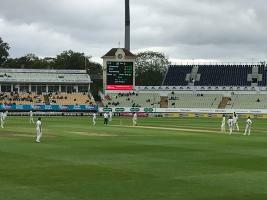 DG’s day out at Edgbaston 19th August. This was organised with Chance to Shine. 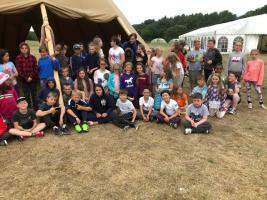 The day was hosted by PDG Paul Jaspal because the DG was in Dorset at the Children’s Holiday Centre. The kids are having a wonderful time in a beautiful part of the country. The staff are superb and so are the facilities. Big thank you to Peter Styles and his team for a superb job. Rotarian John Clegg is a retired paediatric orthopaedic surgeon who worked in Coventry for 30 years before retiring in 2005. Every year for the past 13 years, he has worked in a polio camp in rural India. John has recently returned from the latest camp. Book your stall at the Extravaganza in the Botanical Gardens.